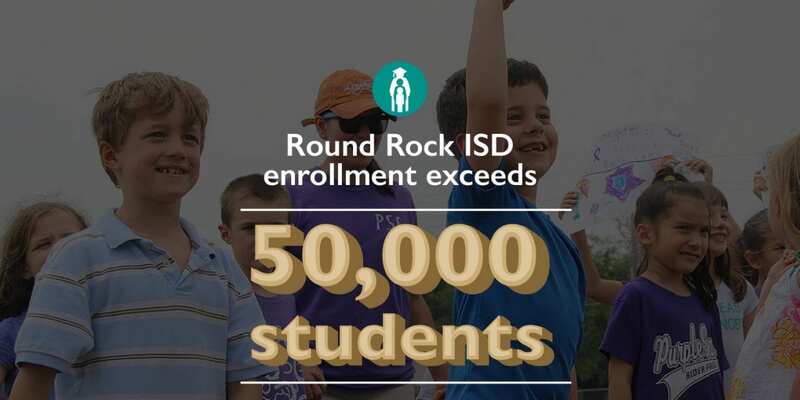 Just three weeks into the 2018-2019 school year, Round Rock ISD marked a milestone as enrollment reached more than 50,000 students. Now with a student population of 50,135, the District has grown by an astonishing 1,200 students since May 2018. Within the last 12 months, 5,560 homes sold within District boundaries, with roughly 36 percent being new homes. A report prepared by Templeton Demographics cites that over 260 more homes in District boundaries sold in the first half of 2018 than in the first half of 2017 and that new home closings for the first half of the year are the highest they have ever been. The District traditionally sees strong enrollment growth through mid-October. The growth is being felt beyond the classroom. At a meeting Thursday evening, the Round Rock ISD Board of Trustees approved purchasing 15 new buses, both regular buses and buses equipped for children with special needs, to address a surge in bus ridership. The buses will cost $1.5 million, which will be drawn from Bond 2008 surplus funds. The surplus funds are the result of several large projects from Bond 2014 coming in under budget and interest accrued on that balance. Last year, the District transported 11,916 students on general education buses. So far this year, the District is transporting 15,131—an increase of more than 3,000 students. Also, ridership for special education students, who need buses with specialized equipment, increased from 894 last year to 970 so far this year.